I'll be the first to admit that I do not know a great deal about Dogman. I have only had a few reports that relate to Dogman. The best I can recall I have only had one Dogman report submitted to me that was from my home state of Kentucky. But I have studied the phenomenon some, so that I would have some basic knowledge of the creature. I have often wondered if reports where people say they saw a "werewolf" that they actually saw what is now referred to as Dogman. Here is some basic information about Dogman and some links to find out more. Before I get into some basic concepts about Dogman, let me share the report that was submitted to us that comes from Kentucky. The report came from Patty and you can read all about it by Clicking Here! From what I gather there are a few variations in the appearance of Dogman. One type for example is more of an upright canine looking creature with a dog shaped muzzle. Another type is more of a Bigfoot looking creature but with a dog muzzle. I'm assuming all variations have pointed ears and a snout. A main reoccurring theme is that Dogman is much more aggressive that Bigfoot. While this may be true there dosen't seem to be very much data of Dogman attacking people. Maybe it is the more fierce appearance of the creature that makes it appear more aggressive. Often times, Bigfoot is associated with having a more human appearance, maybe this lessens the thought of it being aggressive. Then you take Dogman, with it's dog face appearance, and long scary teeth, maybe this has led to people thinking it was scary and aggressive. It also seems for the most part, that Dogman is seen in many of the same areas as Bigfoot. Just like Bigfoot, we really don't know how many of them are out there or exactly where they came from. They seem to have been basically seen all over the world. Many think that Dogman and Bigfoot are in some way connected. That Dogman is an offshoot of Bigfoot. But of course we really don't know at this point and they could be two totally distinct species. I would be happy to log any sightings of Dogman. So, if you have seen what you think was a Dogman don't hesitate to contact us. I am interested in this mystery and wonder why we haven't had any reports from my immediate area. The close one to me, which is only a few miles away, was the report of a strange grey wolf-man type creature. I have periodically researched for information and always scan the area when I go that way. If you would like to read about that report, Please Click Here. 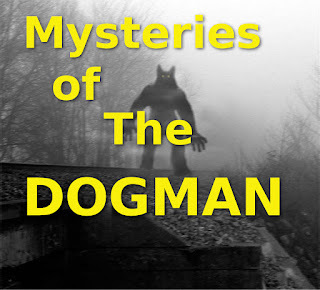 Now, if you are looking for more information about Dogman, I highly recommend you jump over to Dogman Encounters website. The website is a wealth of information and it is very pleasing to the eye. Once there you can click links to their social media pages. I do not know who all is involved with running the website and social networks, but I think our buddy Vic Cundiff is the main person over it all. 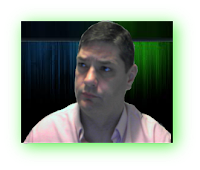 He has really created a great website, is very knowledgeable and has logged a lot of reports. So, make sure to check out the site. My Crypto World - First Episode of 2018! Bigfoot Filmed In Northern Minnesota? Bigfoot Caught On Game Camera?